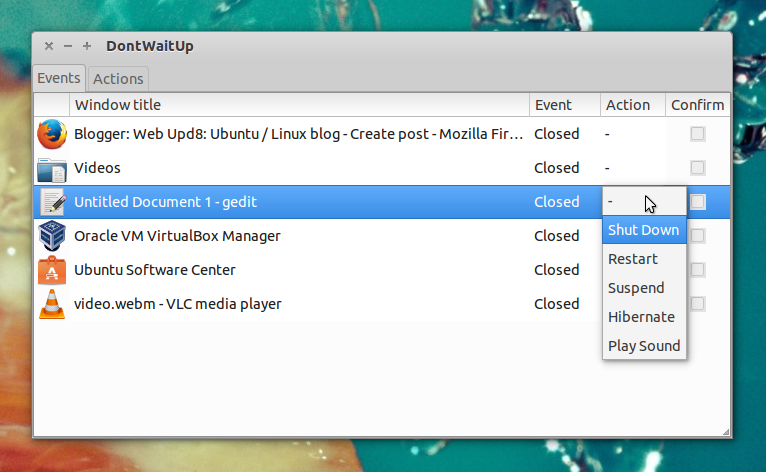 DontWaitUp is a new application which allows you to assign an action when a window is closed, its title changes or when it's resized. You can use it for instance to shut down or suspend your computer when a video finishes playing, when some download manager (which doesn't have this feature built-in) finishes downloading a large file and so on. ... when the window title changes, when the window is resized (e.g. when a video player exits full-screen after it finishes playing a video) or when the window is closed, DontWaitUp triggers your assigned action. 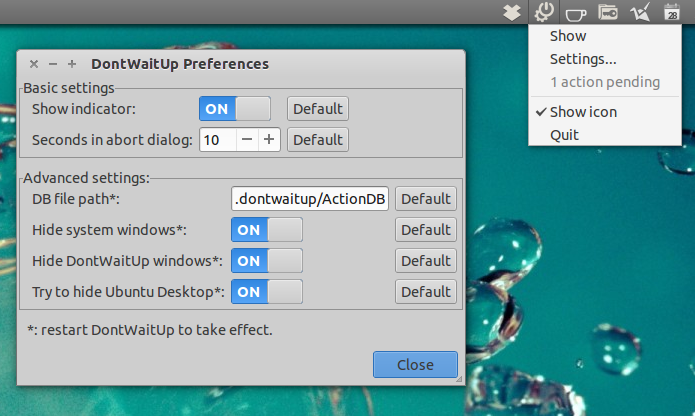 By default, DontWaitUp ships with the following actions: shut down, restart, suspend, hibernate or play a sound, but you can add your own custom actions (commands). 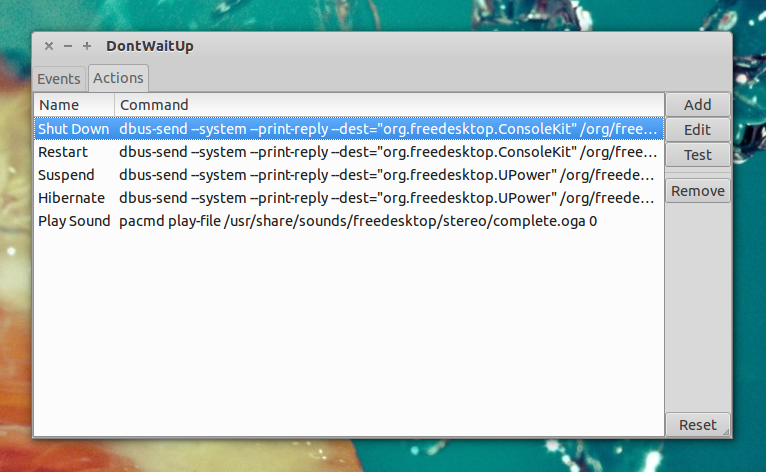 For each action, you can select to display an optional confirmation window or to directly run the action. Right now, the application is pretty basic and doesn't allow you to manually enter the window title on which an action should be triggered (so you can't run actions for applications with dynamic titles, when a specific title comes up - as an example, the application won't be able to perform an action when a music player stops playing if its window title changes for each new song or if the window title displays the remaining time). But, even though the application is pretty simple and it doesn't offer too many actions by default right now, it can still prove to be very useful in various situations and I'm sure some of you will need an application like this at some point. If you don't want to add the PPA, grab the deb from HERE (but you won't get automatic updates if you don't add the PPA). Download the source code, report bugs, etc. @ Launchpad.